We recognize that coffee is one of life’s simplest pleasures, and a great cup can transform your entire day. With that spirit in mind, we believe that quality should not be sacrificed. Our roasters utilize 100% Arabica coffees that are selected from the top tier of coffee growers around the world. Our coffees combine gourmet flavor with superior smoothness. We offer a full profile of regional artisan roasters, local roasters in Tampa, and are proud to be an authorized distributor of Starbucks as well as other National brands. JavaWorks promises to be your coffee expert and pair you with the perfect coffee to compliment your business. Javaworks has been great! The Espresso is my favorite and the customer service is top notch. Sean takes good care of us, and we look forward to staying with Javaworks. Our company has been working with Java Works for over a year now. 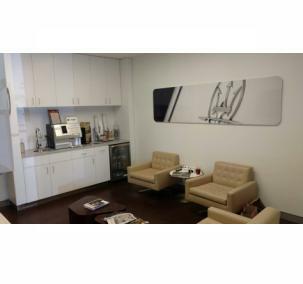 Everyone at their office is wonderful to work with, always helpful and provides the best pricing around! Christian delivers to our account, he is always positive, polite, very responsive when called or emailed and has been a pleasure to work with. Overall a GREAT company to work with! Christian Alvarez is the rep with JavaWorks that is assigned to our company in Tampa. He is efficient, timely and wonderful at his job! He is accommodating to any changes that occur and questions that arise. Great company! We love Javaworks customer service! Sean has been awesome! He always arrives with a pleasant demeanor and has everything prepared for the business. We are very please with the service he and the entire company has provided! Product is great! Billing and customer service is excellent! Our delivery rep, Christian, is the best! Courteous and accommodating, he is never too busy to make an extra run on our off days and with a smile! Always responsive to anything we need! Javaworks is outstanding!! 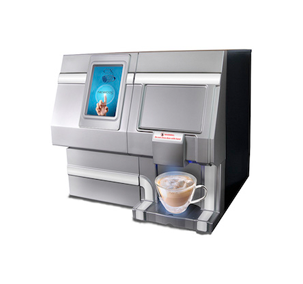 With its compact countertop designs our single-cup brewers are smart, convenient and energy-efficient. 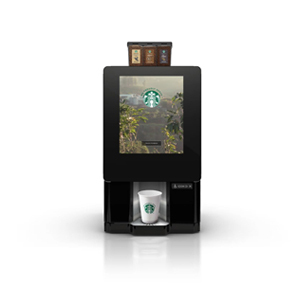 Our machines offer 30+ blends of coffee, organic teas, espressos and a full assortment of fun specialty beverages. We are proud to offer a wide variety of styles and flavors and we can even upload your logo onto some of our machine’s touch screens! 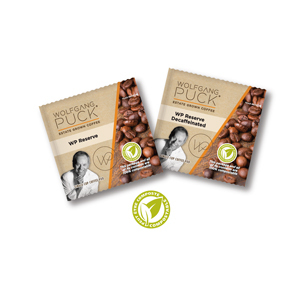 It’s hard to beat the ease, convenience and consistently great flavor offered by traditional roast and ground systems. 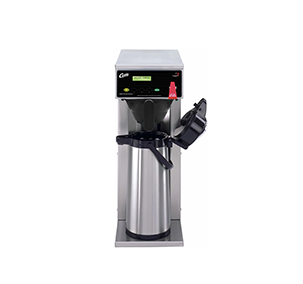 Our complete lineup of quality Wilbur Curtis models, BUNN® Thermal Airpot models, and Automatic Brewer models (some with multiple burners) makes it easy to keep hot, freshly brewed coffee on tap all day long. Some coffee enthusiasts insist the perfect cup happens only when you grind your own beans. We offer bean-to-cup brewers that transform whole beans to a single cup of fresh-brewed coffee in minutes, keeping fresh coffee available in your office 24/7. Contact us today to see what equipment option best suits your needs. The art of a great tea is just as inspiring as coffee. 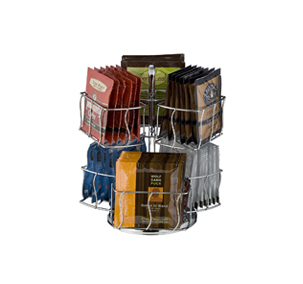 We take our tea game very seriously from the organic origins of Steep, Novus and Organa to the classic favorites of the Bigelow line, we are proud to provide the best and always ready to discuss which option may work best for you. We are proud to be the #1 eco-friendly coffee service in the Tampa Bay & Orlando markets. Our commitment to being a sustainably conscious company is extremely important to us and we offer a complete portfolio of 100% compostable products. Order your eco-friendly products today and know that you’re helping conserve and protect the environment. We have everything you need to stay supplied for the perfect beverage. 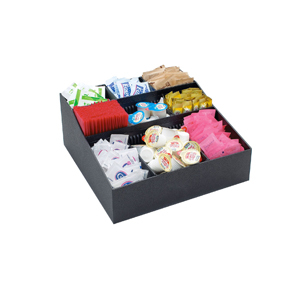 From cups, utensils and stirrers to a variety of coffee beans and toppings, we have it all. We even carry a wide variety of creamers and sweeteners like International Delight®, Coffee mate®, Equal®, Sweet’N Low® and Splenda®; plus our more health-conscious Stevia line! We know every detail counts in creating the best experience for your employees and guests. Provide us with your logo and we will create a personalized experience for your business. We are also happy to provide you with a framed copy of one of our roasters “Roaster of the Year” award for you to proudly display in your business.